First users have now been welcomed by Diamond Light Source, the UK’s national synchrotron light source on its new VMXm beamlin. The Versatile Macromolecular Crystallography micro/nanofocus (VMXm) beamline becomes the 32nd operational beamline to open its doors to users, completing the portfolio of seven beamlines dedicated to macromolecular crystallography. Ivo Tews says: "The protein crystals investigated contain iron and are very sensitive to X-ray radiation induced damage. I was very excited to see that complete data with minimal damage could be collected from very few micro-crystals, requiring very little material!" Dr Tews was a member of the proposal team for the construction of VMXm, understanding the significance of the new instrument to research projects like this one. 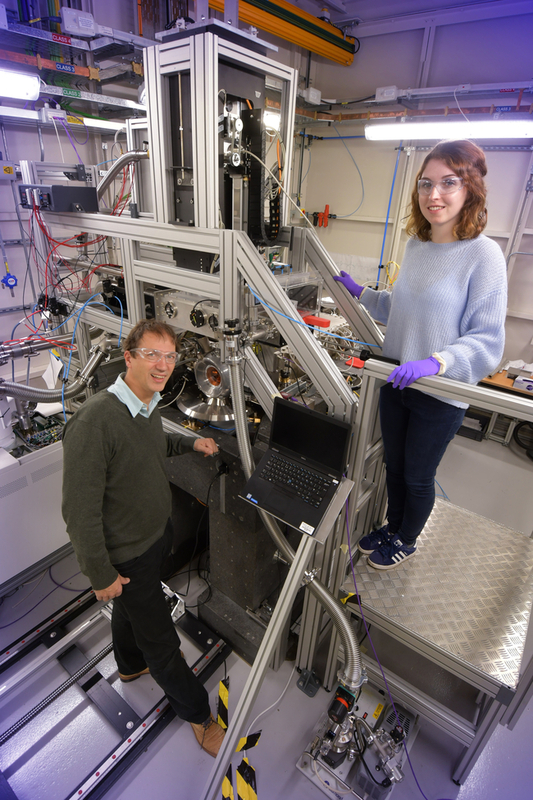 VMXm is managed and operated by a dedicated team of scientists at Diamond, including Principal Beamline Scientist Dr Gwyndaf Evans, senior beamline scientist Dr Jose Trincao, senior support scientist Dr Anna Warren, and postdoctoral research associates Dr Emma Beale and Dr Adam Crawshaw. Dr Gwyndaf Evans notes that: "VMXm will allow researchers to push synchrotron data measurement beyond the previously explored limits of crystal size. It’s also a significant milestone for the Diamond design and construction team: making such a complex instrument work so well at the first attempt is a remarkable achievement, and they should be immensely proud of themselves. We are now looking forward to really exploring the limits of what VMXm is capable of and using it to answer important biological questions."